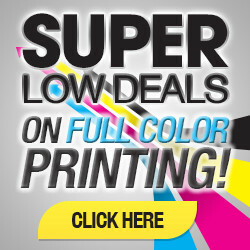 Ever wonder how printing companies turn blank pieces of cardstock into beautiful, full-color flyers? Nope, it’s not the work of the magic flyer fairy who comes to wave her mystical wand. 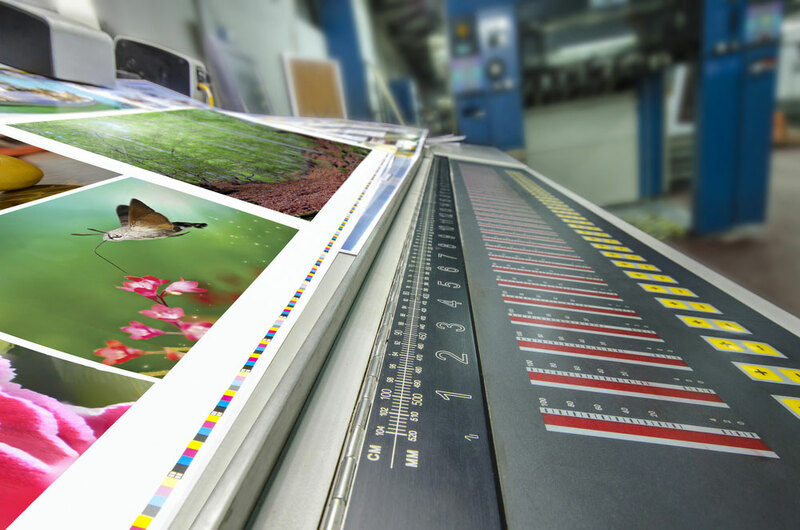 It’s usually a process called gang run printing, and it’s a method that’s transformed the printing world from one only the economically advantaged could afford, to one that’s accessible to all individuals and small business owners. Here’s a little bit about the gang run printing process, and how your full-color flyers go from being an idea to a physical reality. Gang-run defined: Multiple printing projects are placed on a single paper sheet. This reduces printing costs and the waste of paper, making it a good fit both economically and environmentally. This means that your flyer printing project may be printed on the same sheet as another company’s flyer prints. Later, yours will be cut away from the large sheet and away from the neighboring job, and the prints will be packaged separately so that you get yours and the other client gets his or hers. 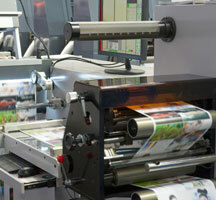 Gang run printing usually requires a sheet-fed printing press, and operates with CMYK (instead of RGB) process color. This means that four separate color plates are loaded into the press. In order to start, a “make ready” usually has to be achieved. 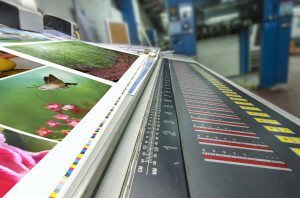 Because the objective is to print economically, a “make ready” usually requires up to 250 sheets worth of jobs, which then warrants the process of getting the plates inked up and the colors set correctly for printing. Again, gang run printing requires a host of jobs run back to back or simultaneously, and so it is not a process that is used for single or small printing jobs. These sheets are generally 28”x40” in size. A half sheet is about half that size, and a quarter sheet a quarter that size, naturally. The first sheet in a job usually costs more than the following, which is why you may observe better prices per printed piece when you print, say, 10,000 business cards rather than 1,000. What’s Good About Gang Run Printing? Some of the great pros when it comes to gang run flyer printing are that the process is extremely environmentally friendly. In the past, printing presses produced a huge amount of paper waste and also used excessive amounts of inks, water for cleanup, and energy to run the presses. With gang-run printing, the need for all these resources, and the need for labor, is greatly reduced. There is no perfect printing process. Fo r, say, custom flyer printing companies, one of the disadvantages of gang run printing are that they can’t offer customers unlimited varieties of paper stock options. They have to use cardstock options that are common enough that the gang run printer will be able to achieve a “make ready” to run the job. Color control is also not as tight as it may be in boutique small batch printing, so in cases where absolute color precision is required, it is not the best choice. What Happens Once the Flyers are Printed? The flyers must be cut from the single sheet, and pre-measured mechanized devices are employed to make this happen. 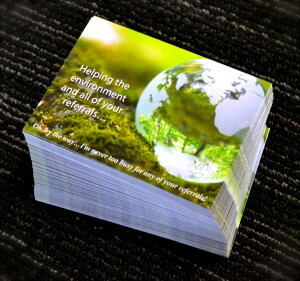 They can then be folded, perforated, etc., and sent to their respective destinations. Maybe to your door, for instance! So there you have it: a brief demystification of the process through which you get your gorgeous and affordable full-color flyers. Still have questions? Feel free to contact us with specific queries regarding flyer printing, business card printing, etc. Terrell is a professional with years of experience in marketing, and management. At EliteFlyers.com he handles content curation among many other responsibilities including customer service, business development and other administrative functions.